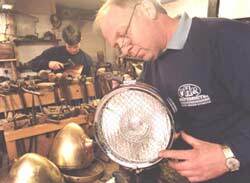 Vintage Headlamp Restoration was established in 1992 by Peter Appleyard, a silversmith from Sheffield. The company offers the highest quality restoration and replication services to vintage and classic automobile enthusiasts. 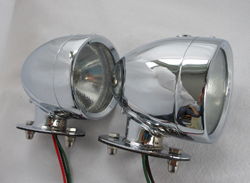 VHR are now the world leaders in the restoration and replication of vintage automobile headlamps. Exports account for greater than 60% of VHR’s projects, providing unrivalled services for automobile enthusiasts from Europe, Australia, Japan, North America and the Middle East. Based in Sheffield, England, a team of dedicated craftsmen employ time honoured skills to restore vintage headlamps to their former glory. 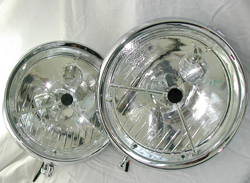 Additionally, an impressive range of reproduction headlamps is available. 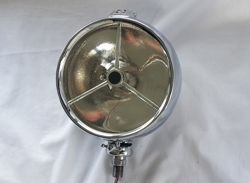 These lamps are hand crafted by our specialised team to produce lamps of unsurpassed concours quality. Just a quick note to let you know that the headlamps arrived in perfect condition. They look brilliant ! So briliant that I cannot recognize them at all. Thank you for your hardwork and craftmanship, I am sure I will have many years of safety and enjoyment from them. Best Regards to you and your family ! 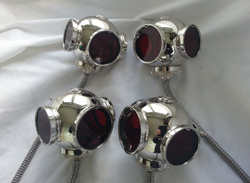 Today we received the diver lamps and we are absolutely astonished with your great work. These lamps have been made by an artist. Thanks for putting your soul in your products.